The RAACOSTAT series is constructed of a special plastic containing carbon fibres, which makes the products permanently antistatic. This protection will not diminish over time or through intensive use, and neither will weather conditions or the surroundings in general have any effect on its efficiency. 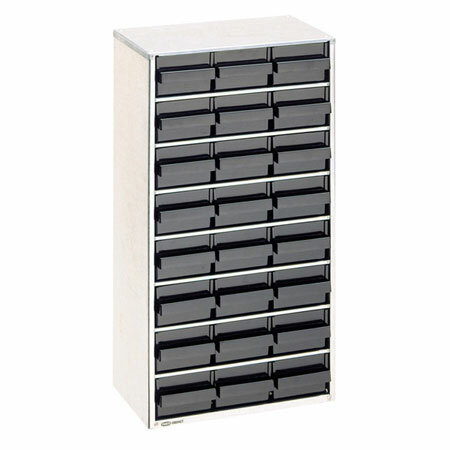 ESD Cabinet with 24 drawers, type 150-02. Each drawer can be divided into 3 compartments. Earth wire included.